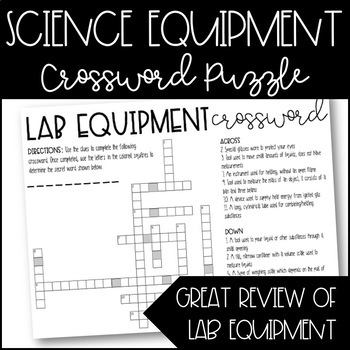 Looking for a quick review on science lab equipment? Download this FREE crossword. Added bonus: The students will use the highlighted squares to unscramble a mystery word. The mystery word is MICROSCOPE.